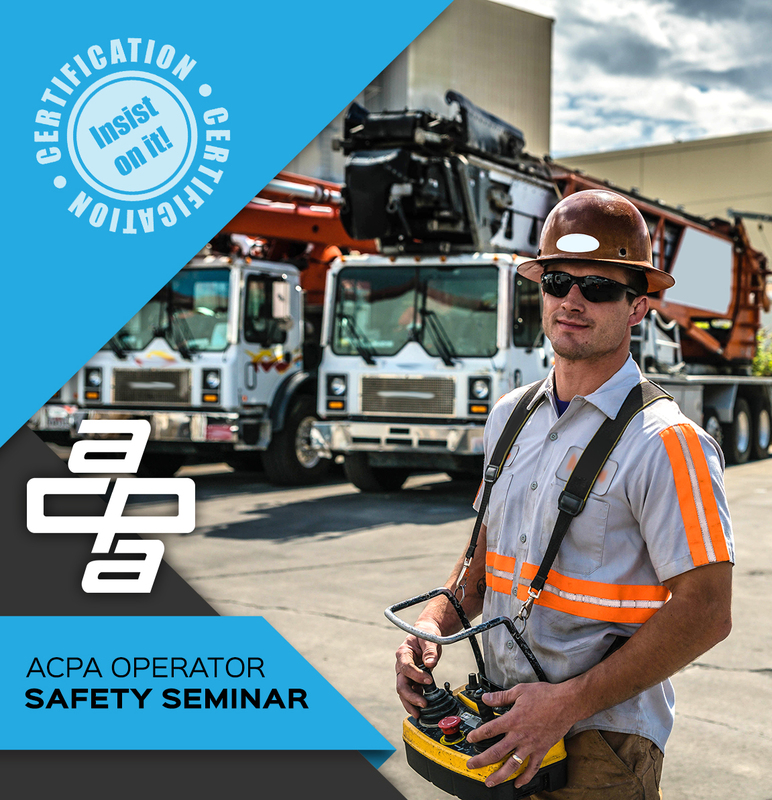 The ACPA is dedicated to the education and promotion of concrete pump safety to the concrete pumping industry and for all those who come into contact with a concrete pump on a construction job. We're here to teach you how you, and others around you, can stay safer on the job. Our instructors have over 50 years of combined concrete pumping experience. Note: Before attending the seminar, please review the operator study guide, which can be downloaded free of charge here in English or Spanish or a hard copy can be mailed for a nominal fee. Please, direct questions to Shawna Mitchell at 614.431.5618. **The conveyor testing fee is additional to the standard certification testing fee. Note: Dates and locations subject to change.